Joanne began her career in business and finance in 1991. During her career, she has spent ten years working as a Business Adviser and the last eight years as an Independent Mortgage Adviser. 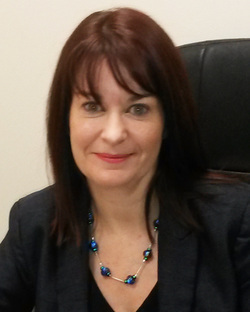 She has been a fully qualified Mortgage Adviser since 2006 and holds the Certificate in Mortgage Advice Practice. Joanne was recently awarded the Diploma for Financial Advisers (DipFA) and is also an Associate Member of the Institute of Professional Will Writers. Joanne joined Bede Financial Group in December 2009 and today advises customers across the full spectrum of mortgages, life insurance, wills and savings. Joanne has lived in Marske all her life and has two children. She is a keen horse rider and enjoys watching her eldest son play football for Redcar Town Football Club and her youngest son water-skiing on the Tees.